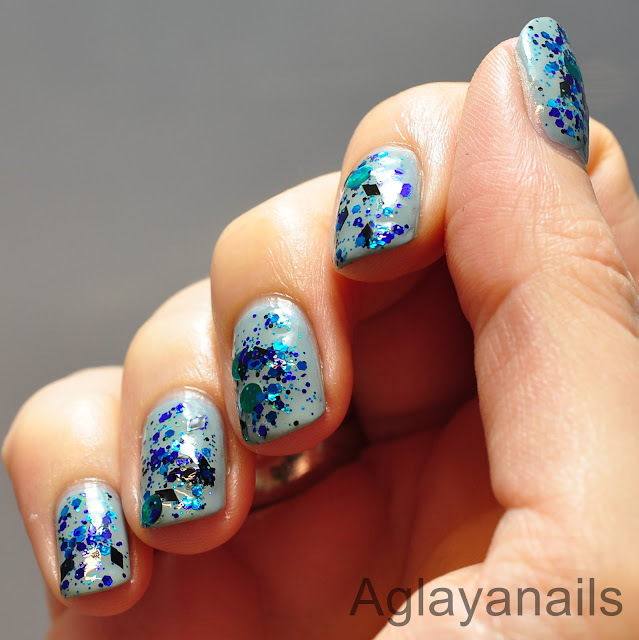 Another glitter mani for today. 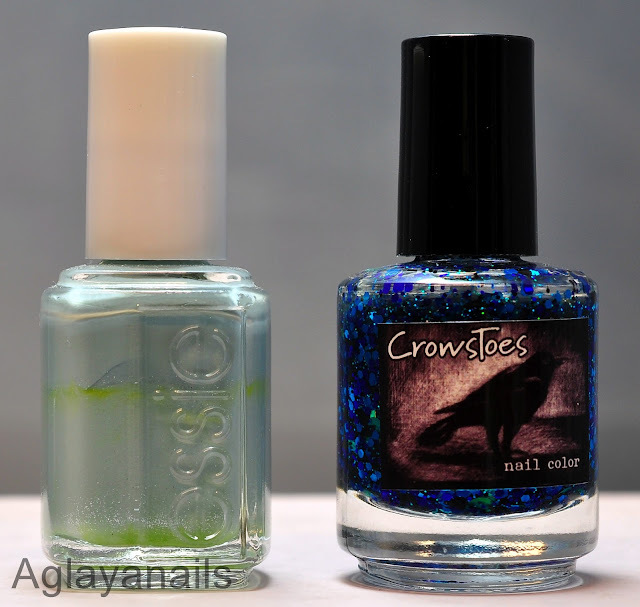 I started with three thin coats of Essie Parka Perfect, a muted dove grey with very subtle silver shimmer. My glitter topper is CrowsToes Chess!.... 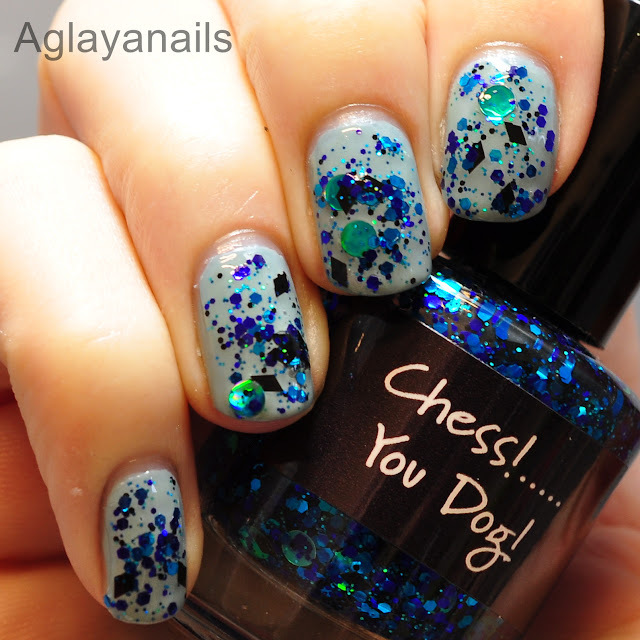 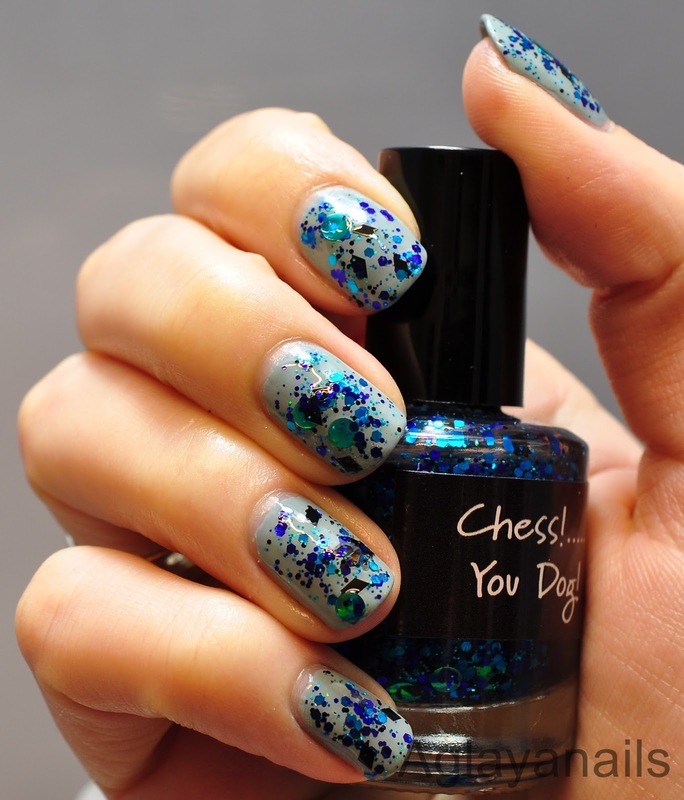 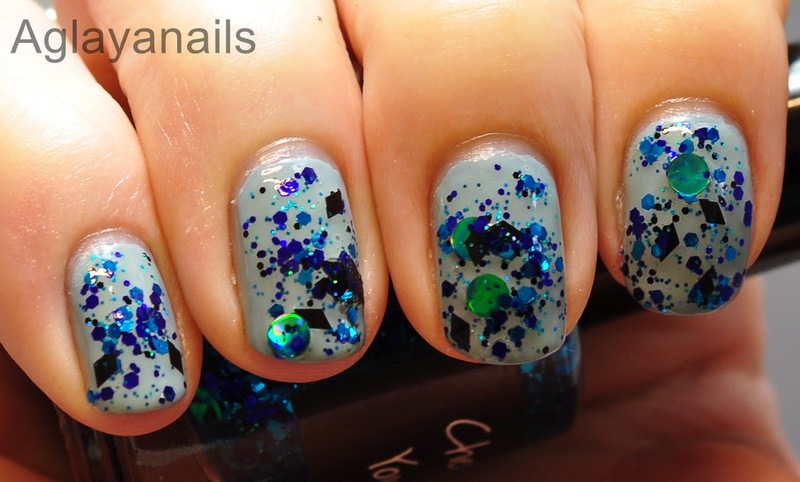 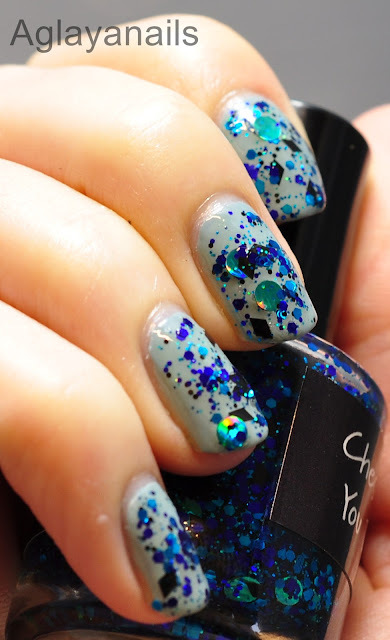 You Dog!, a clear base filled with lots of black and blue glitters in hex, dot and diamond shapes, some of them holograpic. This topper dried very gritty (my bottle is several years old, though, maybe it was less gritty when it was new. 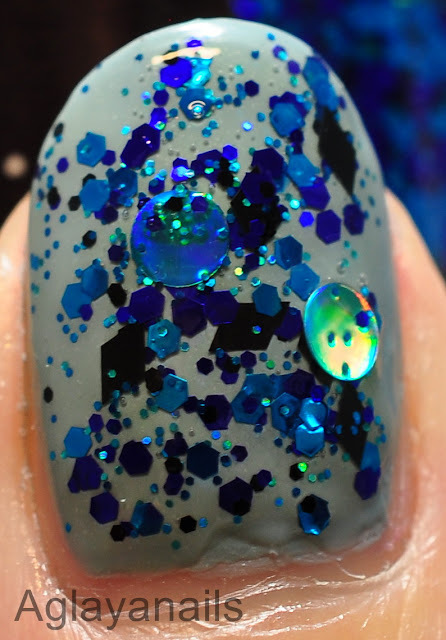 It's still available, so you can see for yourself, if you want), so I added two coats of KBShimmer Clearly On Top for a smooth finish. 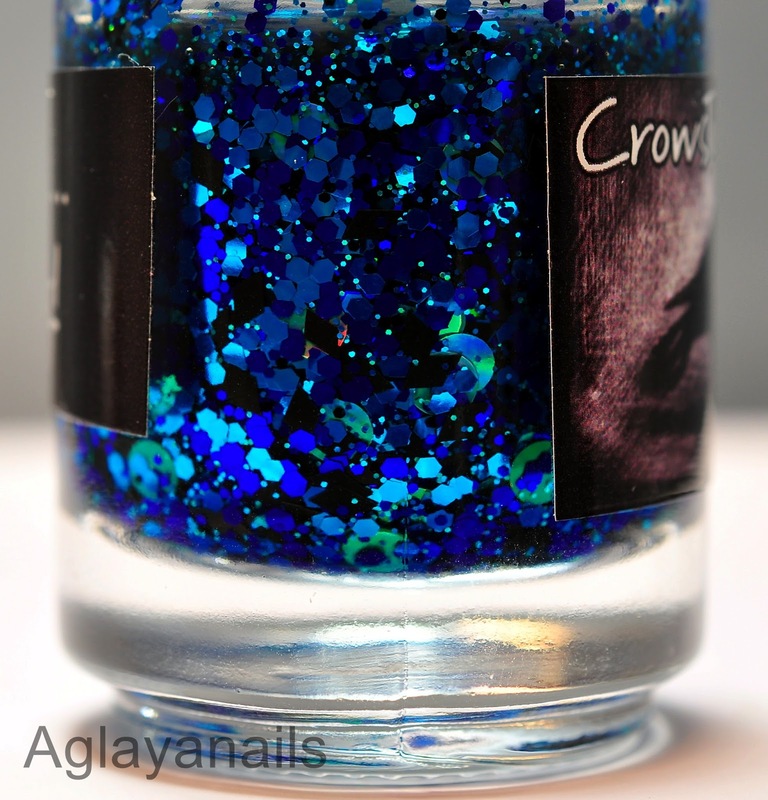 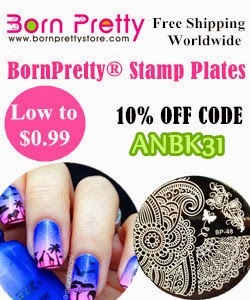 Crows Toes polishes are available at their own store (US only), Femme Fatale Cosmetics, Color4Nails.